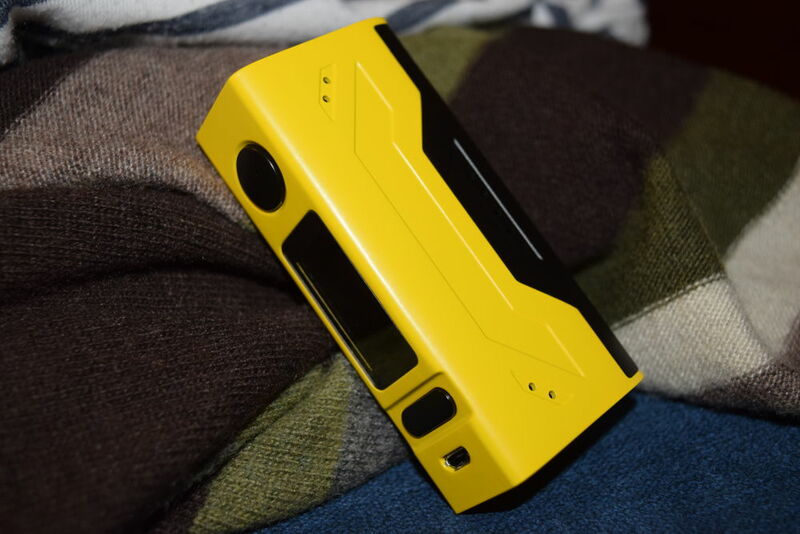 The SMOK Quantum 80W box mod has been on the market for a few months now, but feedback from the community has apparently been so positive that the Chinese company is now relaunching it as part of the new Quantum Brit Mini Kit. This time, it has been paired with the newest member of the SMOK Brit family of tanks, the Brit Mini flavor tank, a top-airflow atomizer designed for mouth-to-lung vaping. 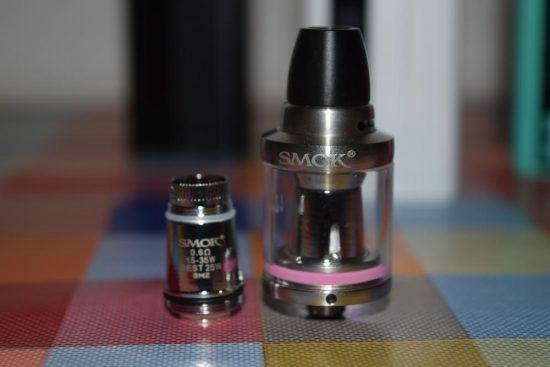 In this review, we’ll be taking a look at how this interesting combination actually works in real life, and decide if it’s worth checking out even if you prefer direct-lung vaping, like I do. Th Quantum Brit Mini Kit comes in the usual SMOK packaging, a rectangular cardboard box with a tastefully designed wrapper featuring a picture of the assembled setup on the front and a presentation of the contents, as well as a description of the kit and some warnings, on the back. Inside the box we have the lovely Quantum 80W Bluetooth mod, and under its foam holder are the Brit Mini tank, a spare glass tube, a spare coil-head, a micro USB cable for charging and upgrading, as well as a bag of spare o-rings and a user manual. As always, SMOK includes several instructional leaflets, the most important of which is definitely the one regarding battery safety. 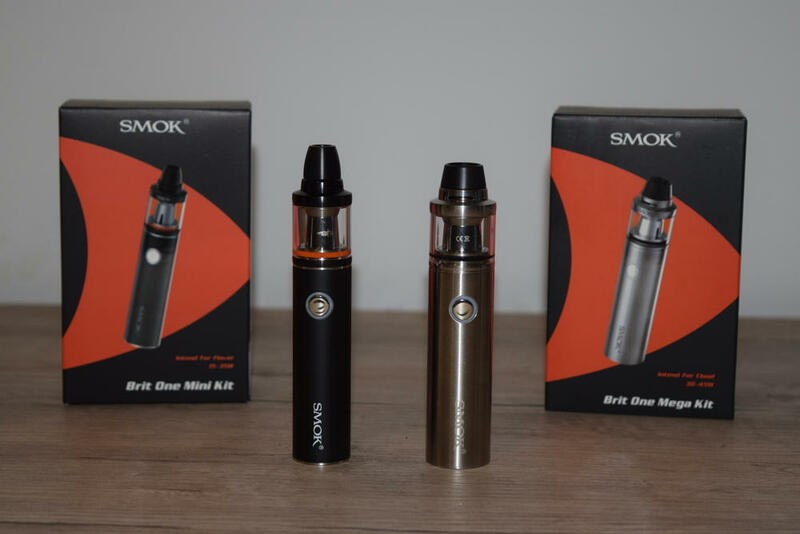 As far as starter kits go, SMOK offers some of the most generous packages on the market, and the Quantum Brit Mini Kit is no exception. If you think the Quantum looks somewhat familiar, it should, since it was clearly inspired by one of the most popular single-battery box mods in the history of vaping – the Joyetech eVic VTC. 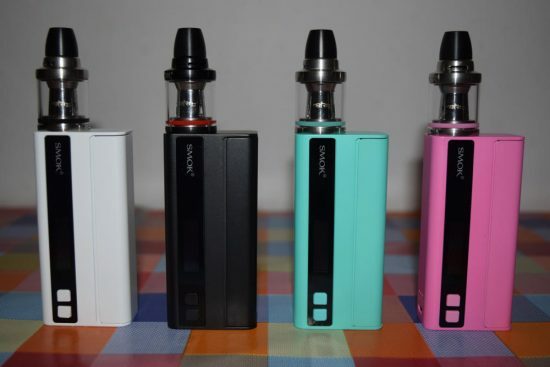 The general design of these two devices is very similar, from the size and rectangular shape to the almost identical magnetic battery door, so if you’ve ever owned a Joyetech eVic VTC, getting used to the look and feel of the SMOK Quantum will be much easier. At first sight, the only difference between the two mods is the positioning of the buttons. But to call the Quantum 80W a mere clone would be unfair. SMOK may have taken a lot of cues from Joyetech’s successful device, but they definitely put their own touch on it. 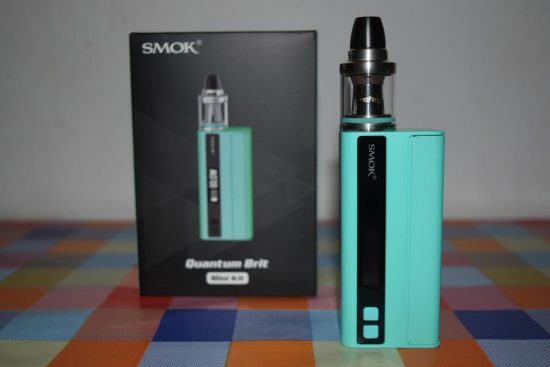 As I mentioned, the positioning of the buttons is different, the display and options menu have SMOK written all over them, the Quantum has an extra 20W of output, the battery door also serves as a firing bar, and let’s not forget the Bluetooth connectivity. So, despite the obvious similarities between these two mods, the Quantum is a different beast all-together. The SMOK Quantum measures just 86 x 40 x 23 millimeters and weighs 130 grams, so it’s definitely one of the most portable box mods available on the market right now. What really impressed me about this device, though, was how nice it felt in my hand. It’s extremely light, even when you add the weight of the battery, the rounded corners are very comfortable, and, most importantly, the firing bar makes operating it as simple as gently squeezing it in your hand. The magnetic battery door/firing bar is definitely one of the strong points of the SMOK Quantum. 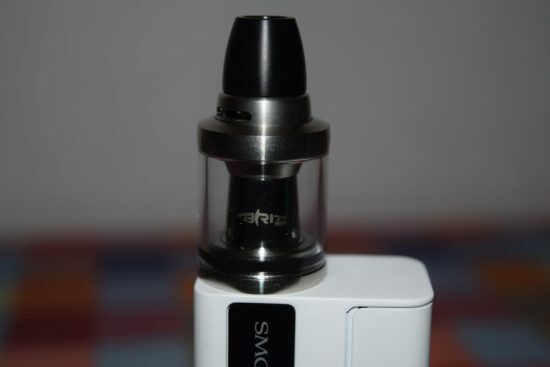 The Chinese company first introduced this feature on the SMOK X Cube 2 and got mixed reactions from the vaping community. Cool factor aside, the magnetic door did have some serious wobbling issues and the firing bar was a bit too sensitive, but since then, SMOK has really been working hard to improve the design and functionality of these two features, and I for one thing they really nailed them on the Quantum 80W. 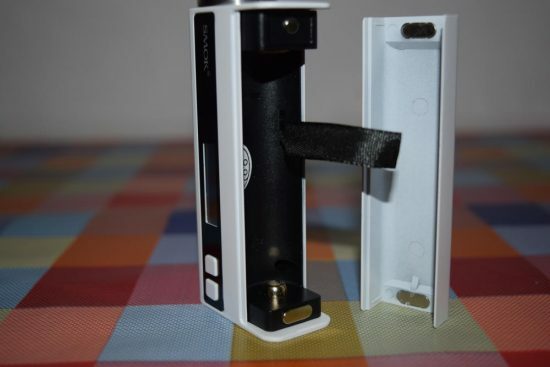 The battery door is held in place by two pairs of really strong magnets, so there’s absolutely no wobbling at all, and the risk of it coming off randomly is virtually non-existent. And as a firing bar, it is considerably stiffer than that of the X Cube 2, which is a good thing. I’ve never had the Quantum accidentally fire while I was holding it, or even when using my fingers to do something else. However, when I did want to activate the mod, the power bar was very responsive. All it takes to activate the battery is a firm squeeze. 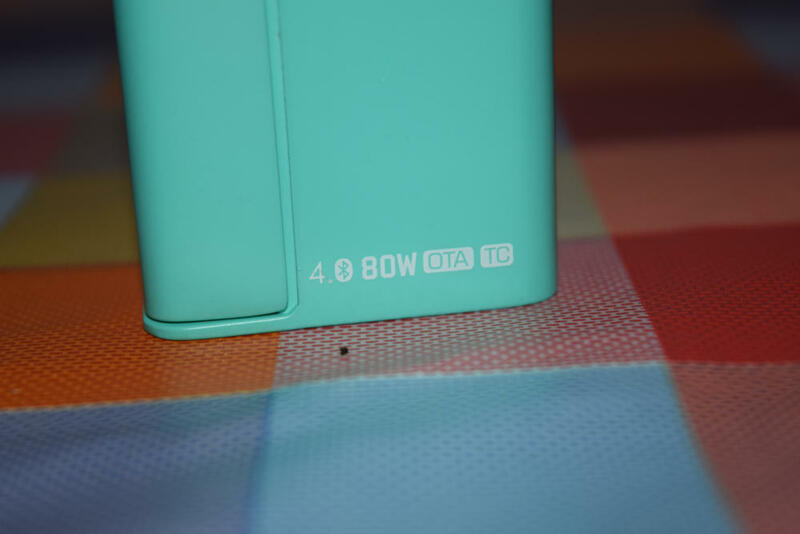 I remember that when the Quantum 80W box mod first came out, a number of popular reviewers were complaining about its crooked 510 connection. Whatever atomizer you paired it with didn’t sit completely flush, as it should, so I was curious to see if SMOK had fixed this issue. The Brit Mini tank included in the kit screwed in all the way down and there was no gap whatsoever, and after trying the Wotofo Serpent Mini RTA and the Joyetech Cubis tank, the result was the same. So if you were worried that the Quantum 80W might not meet your aesthetic standards, worry no more. 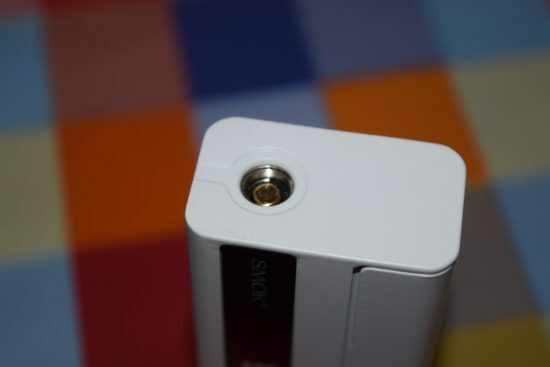 The OLED display located on one of the sides of the Quantum 80W, right next to the two rubbery wattage/temperature adjustment buttons, is the same one used on the SMOK R-Steam Mini and OSUB Plus mods. And if you’ve read my reviews of those two devices, you already know how much I love this display. It’s more than bright enough to be clearly visible in strong sunlight and it features all the basic information you need to keep an eye on while vaping – the current wattage/temperature, atomizer resistance, real-time voltage, number of puffs, and the set vaping effect. All in all, the SMOK Quantum is a great mod. As we’ve come to expect from the Chinese company in recent years, the build quality is way above average – the zinc alloy body feels durable yet light at the same time, the buttons and firing bar are very responsive, and the display is one of the brightest I’ve ever seen. As always, when talking about a variable wattage/temperature control device powered by an external battery, it’s virtually impossible to give an accurate estimate of battery life. 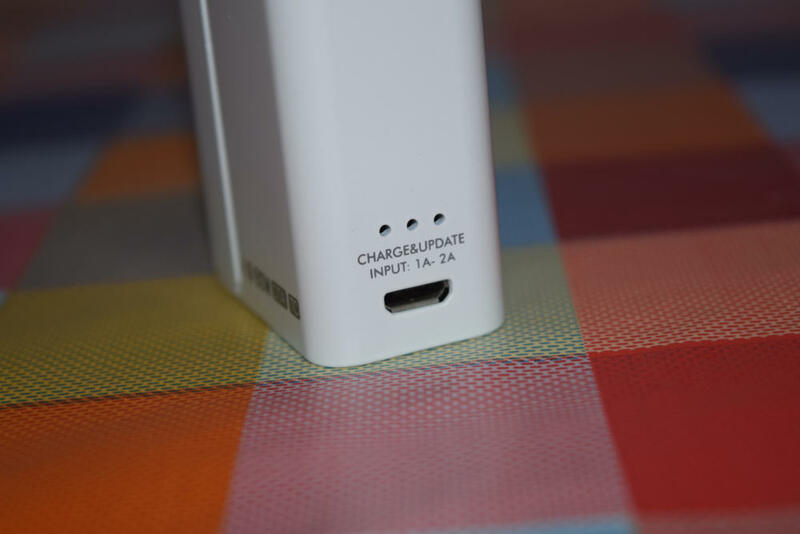 There are just too many variables too consider, from the wattage.temperature settings, to the mAh rating of the battery and the way each person vapes. For example, when using it with the included SMOK Brit Mini tank and the 1.2Ω coil-head, at 22W, I got almost a full day of vaping out of the Quantum, but with the OBS Engine – which looks absolutely awful on this mod, being 25mm in diameter – and an 0.15Ω dual-coil at the full 80W, I had to replace the battery after less than 5 hours of exclusive use. So battery life ultimately depends on how you’re using the mod, and what you’re using it with. 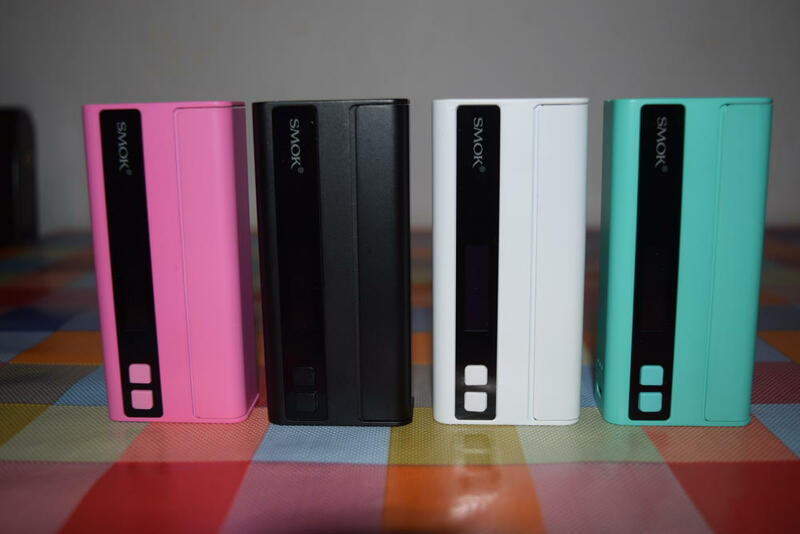 What you need to understand is that despite its decent power output, the SMOK Quantum is a single battery device, so if you expect to get the same battery life out of it as the iJoy MAXO quad-battery mod, or even any dual-battery device, using the same settings, it’s just not going to happen. 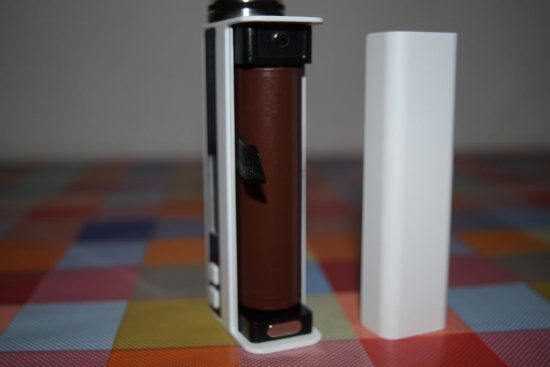 This is a small, light vaping device that sacrifices battery life for comfort and portability. As long as you accept this compromise, you’re not going to be disappointed with the Quantum. I am not going to give you a very detailed presentation of the Quantum 80W menu for the simple reason that it is virtually identical to that of most other SMOK advanced mods, from veterans like the SMOK R200 to the new OSUB Plus. The only real difference is the addiction of Bluetooth connectivity, which we’ll go over in the next section. You can access the menu by pressing the firing bar three times in rapid succession. 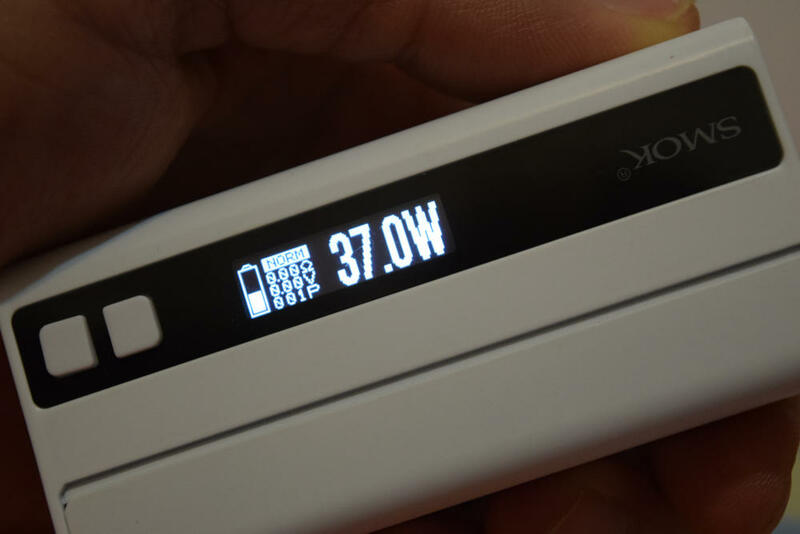 Here you’ll find options like Bluetooth (on or off), vaping modes (wattage or temperature control), puff counter, initial ohm adjustment, TCR (for advanced users only), display settings and power (on or off). 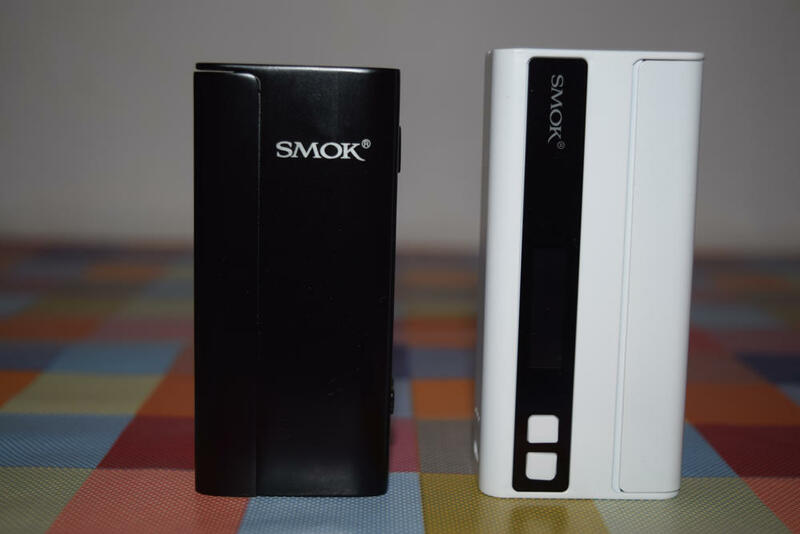 Some of these have sub-menus of their own, but browsing through the various settings should be a piece of cake for intermediate and advanced vapers, especially those who’ve owned SMOK devices in the past. 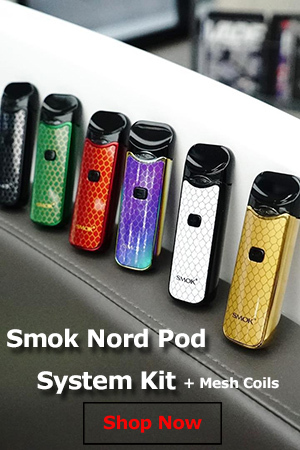 For most info on the menu, check out any of my past reviews of SMOK mods and you’ll find a more detailed presentation of the menu. 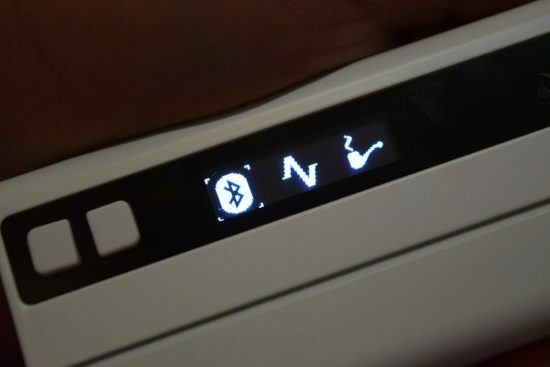 Beginners may find the Quantum’s settings menu a little intimidating at first, as it is more cluttered than say the iJoy menu, but it’s actually an illusion. You don’t really need to mess with all the settings to enjoy a good vaping experience. As long as you set the right wattage/temperature for the mounted atomizer, you can simply ignore everything else. 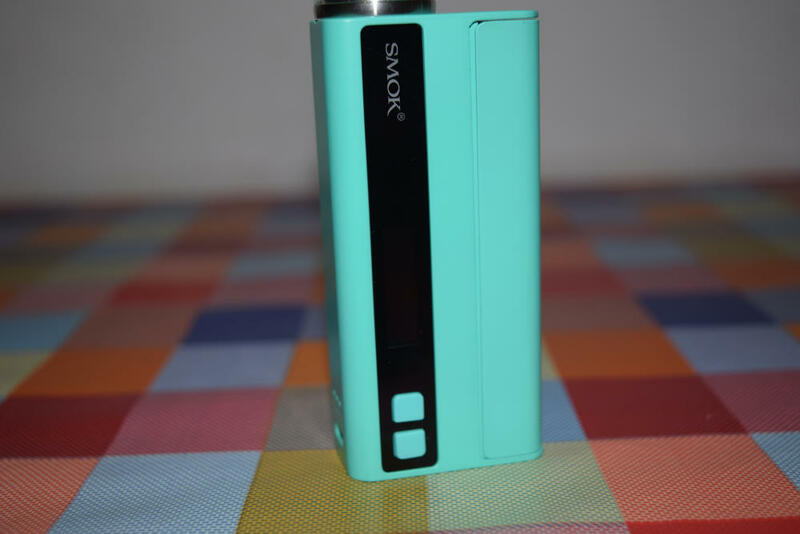 I’ve gotten really familiar with the classic SMOK menu after using so many of the company’s advanced mods, but one thing I found a bit frustrating about the Quantum is that it simply jumps out of the menu after about 5 seconds, if you don’t push any button. So no matter how deep in the menu you are, if you take more than 5 seconds to press one of the buttons or the firing bar, it will jump back to the home screen, and you’ll have to navigate back to finish what you were doing. It’s not a big deal, but it can become frustrating after it happens a few times. To be perfectly honest with you, I didn’t spend a whole lot of time messing around with the new SMOK vaping Tour app, simply because I didn’t find it a lot more appealing than the original app they had for the X CUbe 2. Yes, there are some new additions, like the social media features which let you follow some of the most popular accounts in the community, watch video reviews and stare at photos of the hottest devices on the market. But in terms of functionality, it didn’t really blow me away. Even though the Vaping Tour app has a low rating of just 2.5 stars on the Google Play Store and the reviews section is full of complaints regarding device pairing, force closing and severe lagging, among others, I’ve had no issues whatsoever. My Xiaomi Mi5 smartphone connected to the Quantum 80W as soon as I turned on Bluetooth on both the phone and the mod, and the app hasn’t forced closed or reset once in the last couple of weeks. However, the large number of negative reviews leads me to believe that these are real issues on a number of Android devices. The only thing I found genuinely useful about this whole Bluetooth connectivity thing is something that’s never been done before – over the air updates. 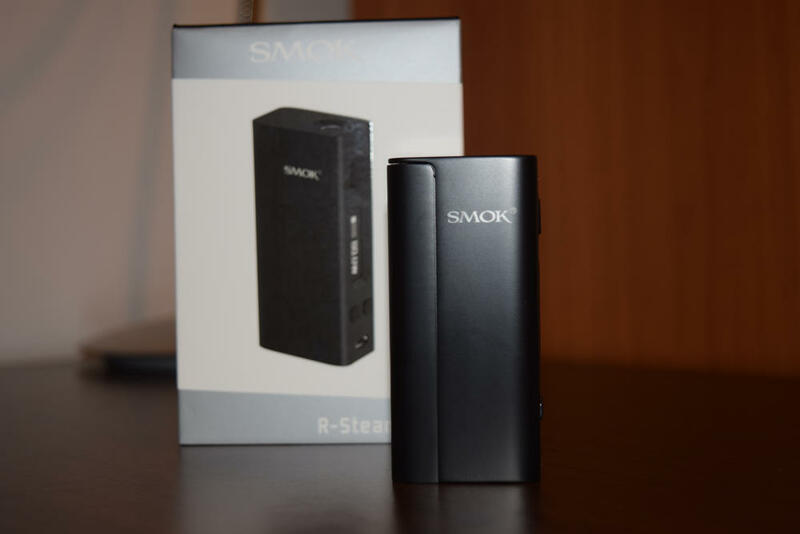 Until now, if you wanted to uodate your device to the latest firmware version, you had to connect to a computer using a micro-USB cable, download the SMOK client and follow a number of steps. Now, if the app detects a new version of the software, it just notifies you and you can download and install the update wirelessly, with the touch of the button. I haven’t had the chance to use this feature yet, as my mod came with the latest firmware version (1.1) preinstalled, but I’ve seen it used by other reviewers and it’s as simple as advertised by SMOK. I guess the Bluetooth connectivity is worth it for this seamless over-the-air update feature alone, but otherwise I consider it nothing more than a gimmick. It’ll probably appeal to tech geeks, or social media enthusiasts, but otherwise, I don’t think it adds any real value. If anything, it just drains the battery of your mod and your phone faster. 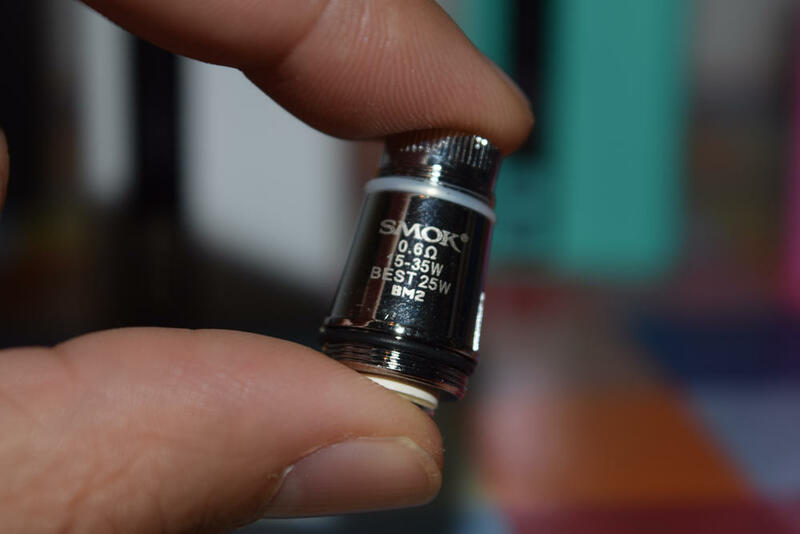 When it comes to tanks, the SMOK brand is synonymous with the TFV4 and TFV8 families of tanks, both of which are renowned for their extreme vapor production. Even with all the airflow slots almost fully closed, they are not the best options for mouth-to-lung vaping, which is where the new Brit Mini tank comes in. This isn’t your usual SMOK vapor beast. It puts out a decent amount of vapor for someone just coming off cigarettes or upgrading from an entry-level vaporizer, like a cigalike, but compared to its older brothers, it’s a joke. The Brit Mini is what vapers usually call a “flavor tank”, so the emphasis is definitely not on vapor production. The Brit Mini only features top adjustable flavor, which minimizes leaking – a problem that has plagued SMOK tanks for a very long time – and a new drip design that the company calls a “bullet drip tip”. It does look like the tip of a bullet, so I guess the name fits, but apart from the form factor, there’s really nothing special about it. It’s a regular plastic drip tip. The Brit Mini tank has an e-liquid capacity of 2ml – which is very little be today’s standards – but it’s really not that big of a deal if you take into consideration its reduced juice consumption. Neither the 1.2Ω nor the 0.6Ω BM2 coil-heads are particularly thirsty, so a full tank will definitely last you for a few hours, even if you chain vape. I’m not a big fan of the Brit Mini tank, to be perfectly honest. Maybe it’s because I’m more of a direct lung hit kind of guy, but I just couldn’t get used to it. 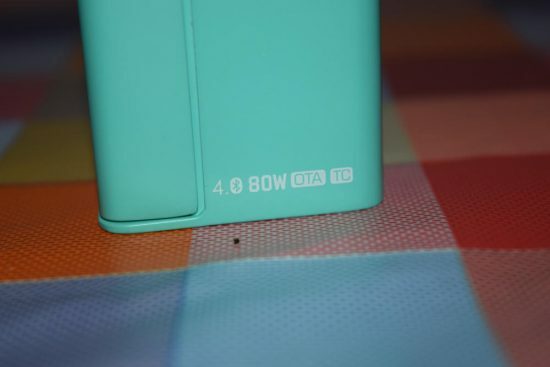 The two airflow slots on top are on the small side, so the draw feels restricted, even when they are wide open, the flavor is nothing special – definitely not better than what i get from my iJoy Tornado 150 – and at around 20W, the vapor is way too cool for my taste. If you’re an MTL vaper, you might appreciate this tank more, but if you like warm vapor and lots of it, there are better options out there. By itself, the Quantum 80W box mod is one of the best single-battery devices I’ve ever used. It’s small, light, fits great in a small pocket and feels great in the hand. The firing bar and the buttons are all very responsive, the variety of built-in features are bound to satisfy even the pickiest of vapers, and the over-the air upgrades make keeping your mod up to date a breeze. I’ve mainly been using the Quantum in power mode over the last couple of weeks, but I also tested the temperature control a few times, just to make sure that it works as intended. It passed the cotton test with flying colors, and in real-life conditions, my stainless steel dual-coil setup performed like a champ. Unlike the similar SMOK R-Steam, which used to jump out of temperature control mode when it didn’t like some of the coils I was using, the Quantum worked well with both SS coil-heads and my own coils. However, as much as I liked this mod, I was a bit disappointed by the Brit Mini tank. While I didn’t have any leaking issues with it, the vapor production was inferior to most of my other tanks, and the flavor was average. 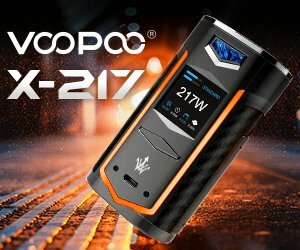 My opinion of it is subjective, since I’m not big on mouth-to-lung vaping, so if you’re actually looking for a tank that delivers a cool vape and below average vapor, this might be right up you alley.